Where To Run, Where To Run…? 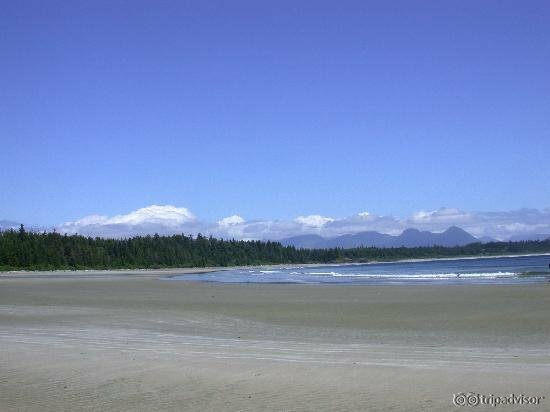 We’re off to Tofino, British Columbia this weekend for vacation! Yay! I’ve been doing this with my family for the last 18 years – Colin joined in once we got married and now M comes too. It’s a week of doing nothing but eat, read, walk on the beach, sleep and, now, run. I have a dilemma. We need to do 2 long runs while we are there and I can’t decide where we should run them. 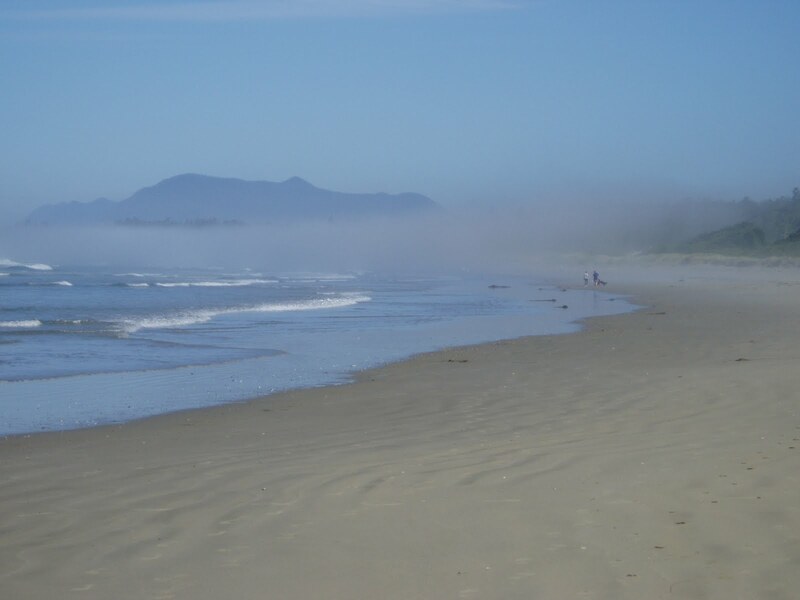 Do we run on the beach? 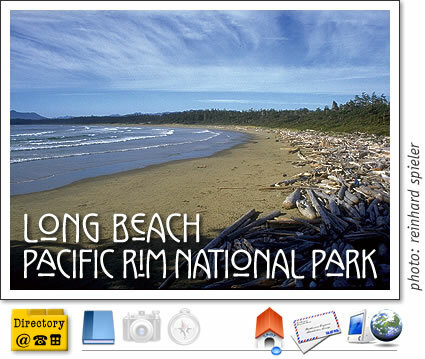 I haven’t run on hard-packed sand before, but Long Beach in Pacific Rim National Park is the perfect length for our second run (19km + 2.1 to make up the distance for the virtual run I’m participating in). Or do we run on the pedestrian path/road? That’s not me above – it’s actually a shot from the Edge to Edge Marathon (next year’s dream race if I want to do it again after October) – but I might be running like her this weekend. 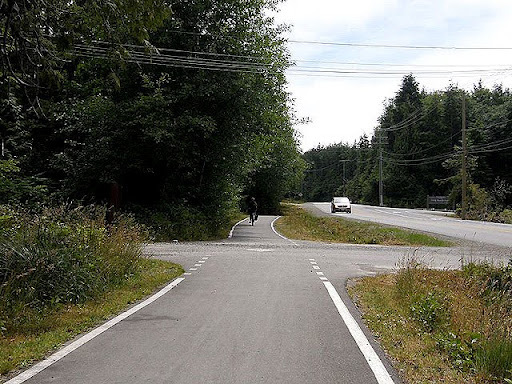 If we decide to run on the pavement for 16km we’ll run out of bike path so road it will be. I have a feeling we’ll do one of each, but what do you think? This entry was posted on July 5, 2010 by lovemyrunners. 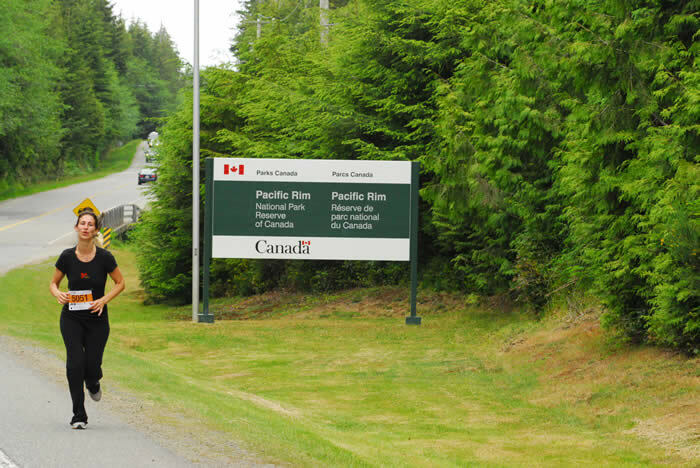 It was filed under long run, Tofino, vacation, virtual half marathon .